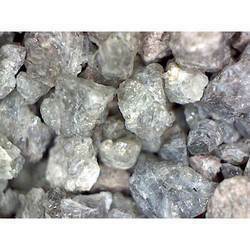 We are offering Perlite Ore (Slag-30) to our clients which is used in sectors like construction, horticulture along with other industrial applications. The heat resistance property of this dark grey granular material makes it ideal for manufacturing refractory bricks, mortars, and pipe insulation. We are offering to our clients, Perlite Ore, which is used in sectors like construction, horticulture along with other industrial applications. The heat resistance property of this dark grey granular material makes it ideal for manufacturing refractory bricks, mortars, and pipe insulation. Roof insulation material, soil conditioner (agriculture & horticulture ) fìre proofing & so many other uses. Banking on our immense expertise in this sphere, we have earned a respectable position by wholesale trading a qualitative range of Unexpanded Raw Perlite Ore at pocket- friendly prices.